Great news for fans of online slots: Royal Panda has added 15 new titles, which all come from the 1X2gaming camp. 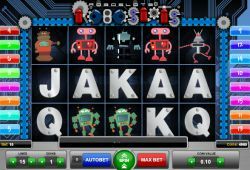 The diversity of these video slots guarantees that there’s always an entertaining theme that fits your taste, while the staggering cash prizes add up to the fun. At Royal Panda they like to launch new games on a regular basis in order to keep players entertained. Gambling enthusiasts have massively embraced Royal Panda, which offers a plethora of online casino games. And the best thing is: They frequently add new titles in order to guarantee a diverse and entertaining games inventory. The fun video slots from the 1X2gaming stable are a testament to Royal Panda’s commitment to ensure players an unparalleled level of fun and excitement. Try your luck at Royal Panda and spin the reels of the new 1X2gaming slots.